Yeah! Competition time and have we got an amazing one for you. 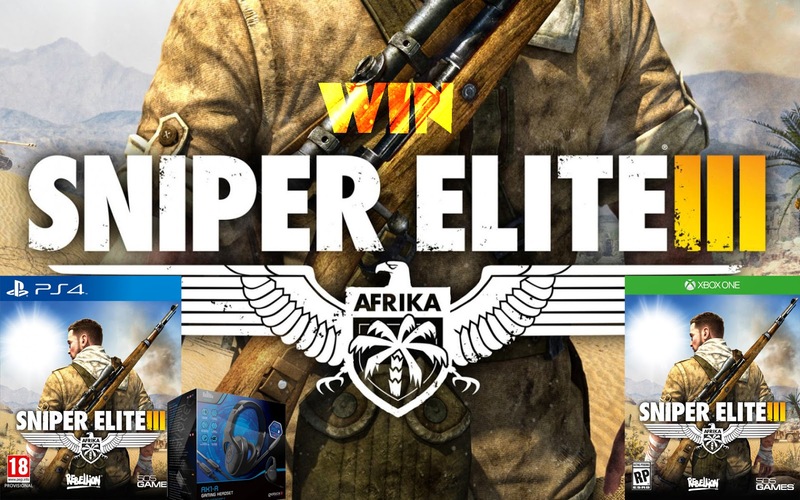 Thanks to 505 Games we have a digital download code of Sniper Elite III on both PS4 and Xbox One to give away, but that's not all... The PlayStation 4 winner will also get an AX1-R headset from Gioteck! Want to be in with a chance to win? Easy, all you have to do is head on over to our Facebook page, give it a like and also comment on this post stating which system you'd like it for. Simple right?